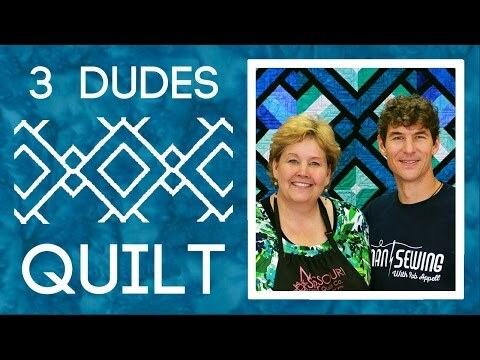 Digital Download - Three Dudes Quilt Pattern from Man Sewing - Rob Appell - Missouri Star Quilt Co. I loved the method, but wanted to modify the pattern and control the colors and create more movement in the quilt. I added the skinny black strips to make it pop, and was pleasantly surprised by the secondary pattern that emerged. This quilt looks difficult but is one of the easiest to make. Don't feel like you have to use this color combination. Instead, try choosing your own color palette.